Cyndibands large hair ties for thick hair in dark brunette colors are over 2 inches longer than our standard hair ties and are made from our thickest and strongest elastic. These hair ties are designed for those who have thick hair and struggle to use traditional sized elastics. 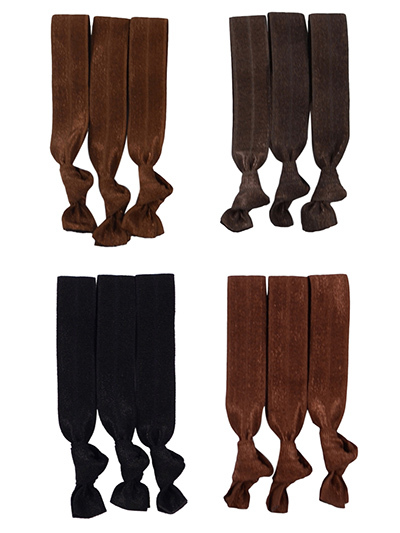 This pack of 12 hair ties contains 3 each of our popular dark colors: black, coffee, chocolate, and cocoa. 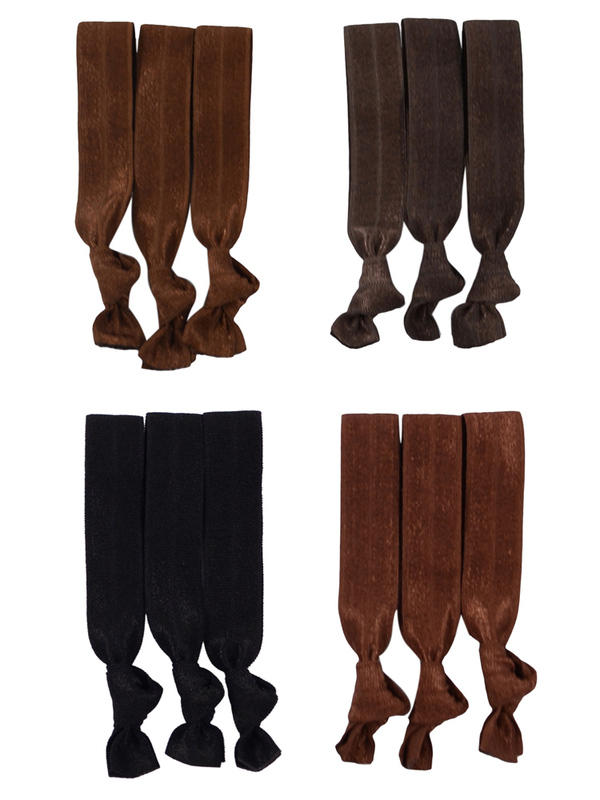 Our Cyndibands hair ties are gentle on hair and don't break like traditional hair ties. Each hair tie is hand knotted and the size can be adjusted by sliding the knot forward or back before using.